It’s only a week or so into May, and yet the Dodgers sit comfortably perched atop the NL West, with a six-game lead over the second-place Giants. They have a stratospheric .714 win percentage. Some analysts are ready to call the division for the Dodgers already. A look at the historical record may show a need for some greater caution, however. Historically, the teams leading their division after the month of April have won their division only 50 percent of the time since 1996 (the first year of the wild-card era not shortened by a strike.) Some of these teams had built substantial advantages; even teams that went on to lose the division averaged a not insubstantial 2.2 game lead going into May. So, with all apologies to Dodgers fans, let’s look at the top teams to get picked off first place after a hot April. I looked at how many games teams led their division by as of May 1 from 1996 and later, to find the hottest starting teams to end up losing their divisions. The Diamondbacks were a hot pick going into 2008. They were a young team with some top-shelf talent, they had won 90 games the year before, and after the hottest start in franchise history they had the best record in baseball. What could go wrong? A late-season trade of Owings for three-true-outcomes legend Adam Dunn wasn’t enough. They held on until near the very end, losing the lead Sept. 5 and keeping it close until the bitter end. The Dodgers won the division by two games. Maybe it’s not fair to expect much out of a team that had gone 62-100 the season before. But after a hot start to the year, fans could have been excused for thinking that the Royals could be going somewhere. A 10-19 May put an end to that notion, although they would hold the division lead as late as Aug. 29. The Royals ended up seven games out of the division lead. It seems almost unfair to ask what happened to a team that had Ken Harvey as a starting first baseman; this was not exactly a case of a good team being felled by bad luck but a mediocre team hitting a hot streak early on. They did pick up the franchise’s first winning record since 1994. That had to be worth something. And they got to see Rookie of the Year Angel Berroa before he flamed out. That was probably not worth something. This is a fun team to look at. The Orioles basically went into free-fall after the month of June, and ended up 21 games out of the division lead at the end of the year. This was likely not a good team to begin with, as evidenced by its continued use of Sammy Sosa in right field. The starting rotation seemed to be healthy enough, but in the cases of Daniel Cabrera, Sidney Ponson and Rodrigo Lopez this might not actually have been to the team’s benefit. This was a very good team; it ended up winning 93 games that season. But it wasn’t enough to secure a playoff birth: The Mariners finished three games behind the Oakland A’s for the West and two games behind the Red Sox for the wild card. It’s really unfair to ask what went wrong with this team—by its run differential it was a 97-win team, and even the actual record was more than respectable. The Mariners just were outplayed by some other very good teams. It happens. If you must have a scapegoat, look no further than third base: Mariners third basemen hit .243/.321/.340 on the season, with the lion’s share coming from Jeff Cirillo. 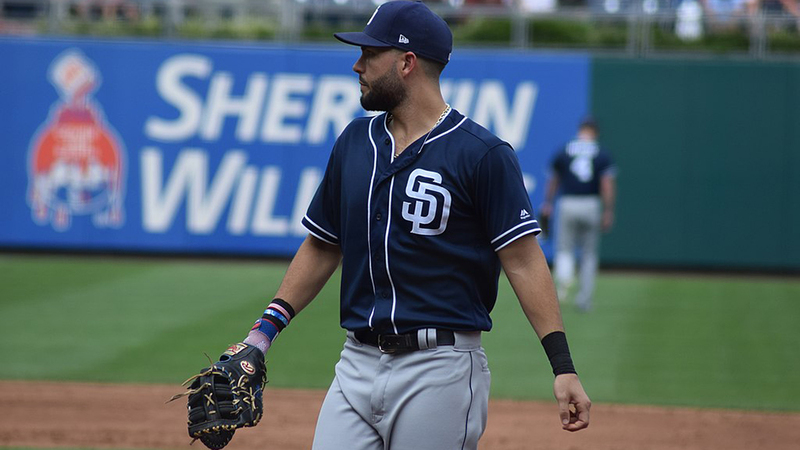 Carlos Guillen filled in at third as well, providing the lone bright spot at the position (the tradeoff being that he was unavailable to play short, giving way to Mark McLemore and Rey Sanchez). Nobody will be surprised to hear that Willie Bloomquist was involved as well. As tempting as it is to blame it all on Neifi Perez, it’s hard to figure how he alone could make this team finish seven games back of the division lead. The Rockies were certainly not a bad team (they finished above .500), but they ran into a Giants team headlined by Barry Bonds and featuring career years out of pitchers Shawn Estes and Kirk Reuter. What does this say about the Dodgers? None of these teams are perfect analogues for the Dodgers. You have some good teams facing stiff competition and some bad teams playing above their heads; the Dodgers are likely neither. But at this point we have to say likely, because we simply don’t know for sure. And it certainly wouldn’t be fun to know anything for sure at this point of the season, would it, with five months of baseball stretching out before us? Anything can happen, anything will happen, and if we’re lucky, anything is exactly what will happen. Checking Baseball Prospectus’ Postseason Odds Report, the Dodgers have an 83 percent chance of making the playoffs. But probably is not destiny; an 83 percent chance of success is a 17 percent chance of failure. (And unlike Monte Carlo simulations, teams can and do react to circumstances by becoming buyers at the deadline, calling up players from the minors, etc.). I, for one, wouldn’t write the Giants off yet. Some of the information used here was obtained free of charge from and is copyrighted by Retrosheet. Interested parties may contact Retrosheet at “www.retrosheet.org”. Other information comes from the Baseball Databank.